It’s been kind of a blah week (for the blog.) I haven’t been posting a lot because I’ve been spending all week focussing on my personal training lessons and writing a few blogs that’ll be out later this month. I am excited for this weekend, though! Kyle and I had plans to head down to Charleston, but we thought it would be better to save that for another weekend. With the solar eclipse just days away, people are flocking to Charleston! There will be so many people there, and booking a hotel is almost impossible unless you want to spend over $600 a night. Instead of traveling, we are going to go hiking, put some new flowers in the outdoor pots, maybe paint the office, and cook some Blue Apron meals! We have a box coming today. I was messaged on Instagram yesterday by a reader. She said she works from 8 am to 6 pm Mon-Fri and that she has a hard time fitting in workouts. She understood that she could go after work or before work, but those hour classes at the gym left her sluggish and low-energy. She found herself reaching for sugary snacks and extra coffee on the days she worked out and wanted to know what I would do. I am so lucky that I have the schedule that I do (as of right now), but I totally understand that one day, when I’m working the 8-6, I’ll be facing the same struggles. 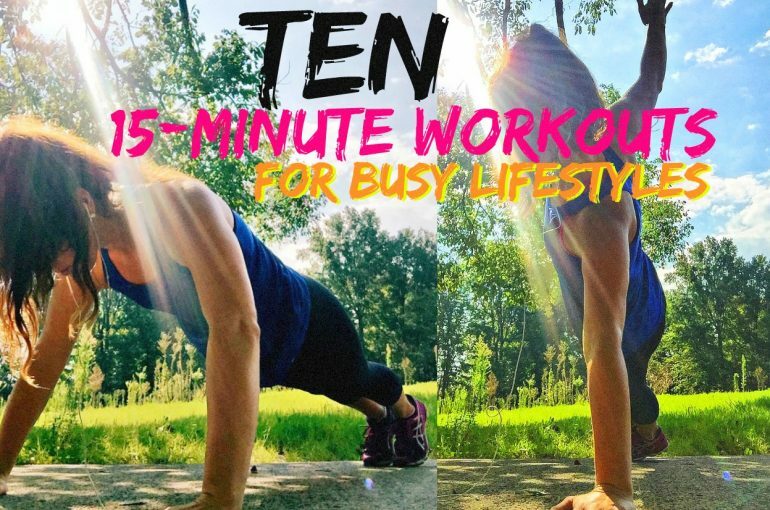 I also receive questions like this a lot, so I decided to put together ten workouts that only take fifteen minutes to complete, and they are so effective! They’ll get your heart rate going up and down throughout the workout, and you’ll be benefiting from the afterburn. 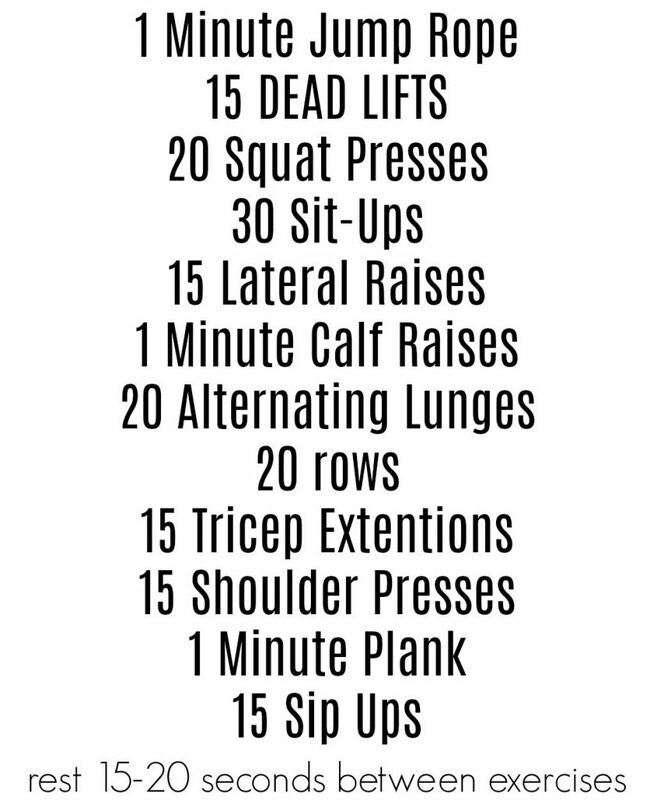 You could do these workouts before work, after work, during lunch breaks, or before bed! It’s hard to come up with an excuse for something that only takes fifteen minutes. Set a timer. 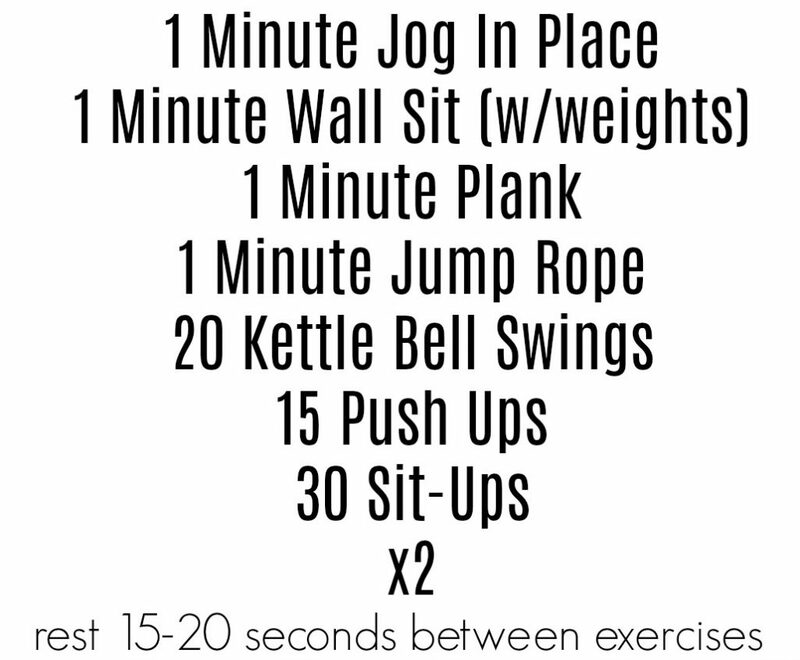 If you finish before the fifteen-minute alarm, start the workout from the top, and go until fifteen minutes is up. The more you do them, they easier they’ll get, so it’s important to keep challenging yourself. 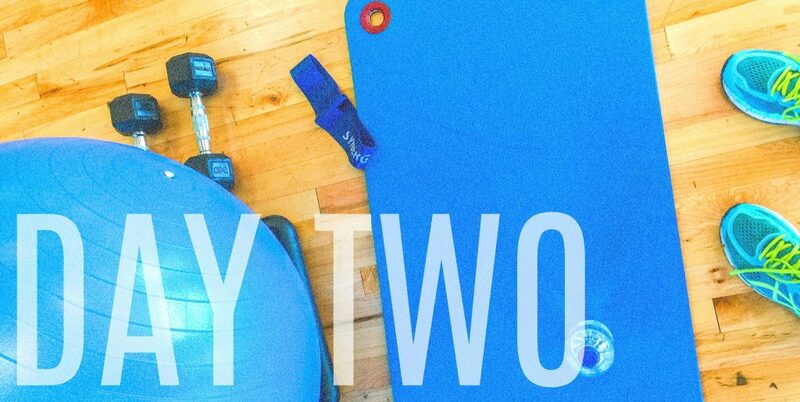 If you want a thirty-minute workout, choose two of the workouts to do, or do your favorite twice! 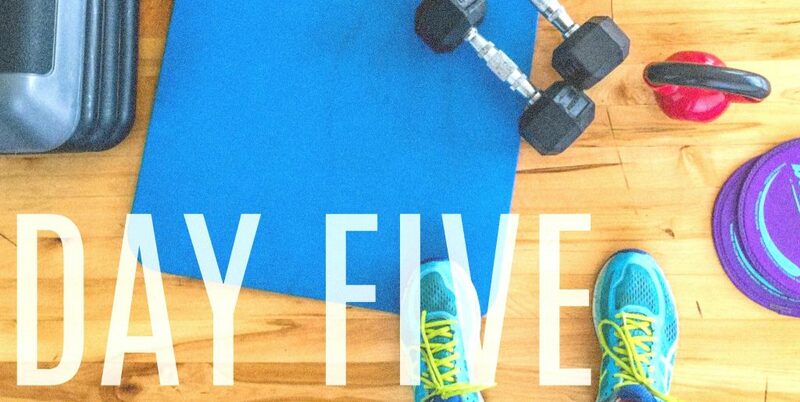 Fifteen minutes a day can be so effective and these have a nice balane of cardio & weights! 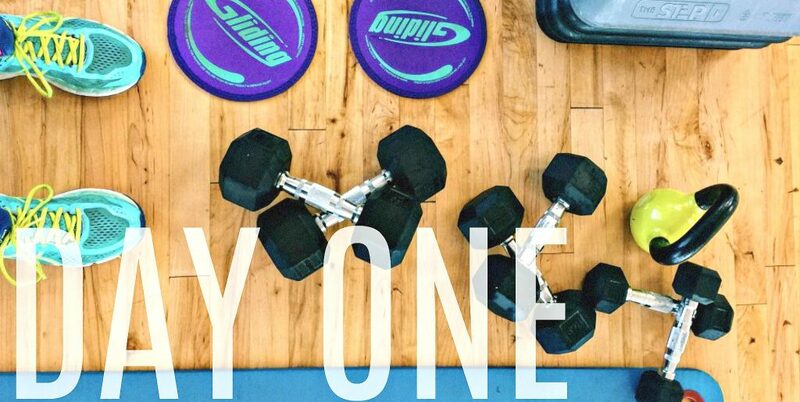 Do you find it hard to fit in workouts with your schedule? Could you dedicate 15 minutes to exersice everday? 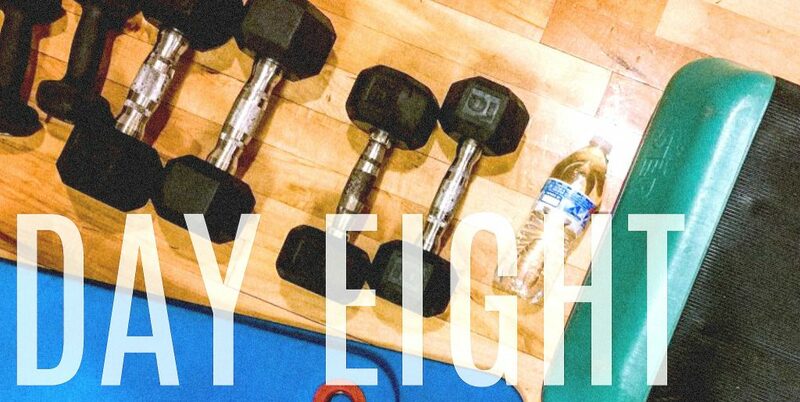 How long are your workouts? Nice job on putting these together! These are great! Definitely going to try some of these! Thanks Taralynn, these are great workouts! Perfect for me being a new mom, sometimes all I have is 15 minutes here or there to do anything. This is perfect!! I have no time anymore with my internship, student organization, and classes so having some fast workouts really helps! Thanks! Have an amazing week, you’re great! Omg these are perfect! 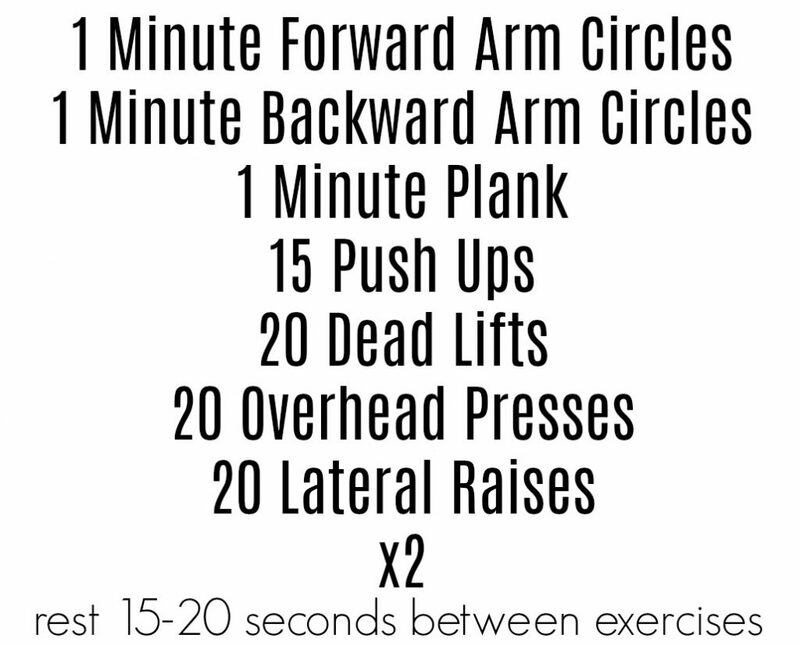 I have been doing more circuit trainings to switch things ups and I just love all of these! Thanks for sharing! I am SOOOOO glad you posted these! I work two jobs os sometimes it’s hard to squeeze a workout in, but I will be trying these on my busy days! I love these ideas!! I’m definitely going to screenshot them to use at the gym! I am always looking for ways to mix things up vs doing the same old thing all the time! I’m sure doing these makes the 15 minutes fly by! Thank you for sharing!! 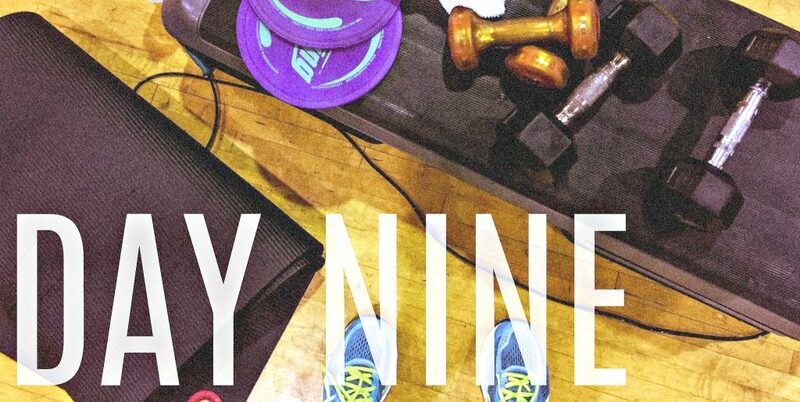 Thanks for the 10 fifteen minute workouts. I go back to school as a teacher tomorrow so these will be great for me to do in the morning . I am adjusting to a new full-time job (that is incredibly mentally and emotionally exhausting) along with working on my masters program and moving into our new home. With everything that needs to be done around the house, at work, with my pets and my homework, life is so chaotic I feel like I don’t have time for anything and my workouts are usually the first to get cut. I could definitely handle a quick 15 minutes that don’t require me to pack a bag and head to the gym! My issue has always been that if I don’t do a full hour, I feel like I didn’t get a “real” workout, but hopefully if I break enough of a sweat I can get over that! 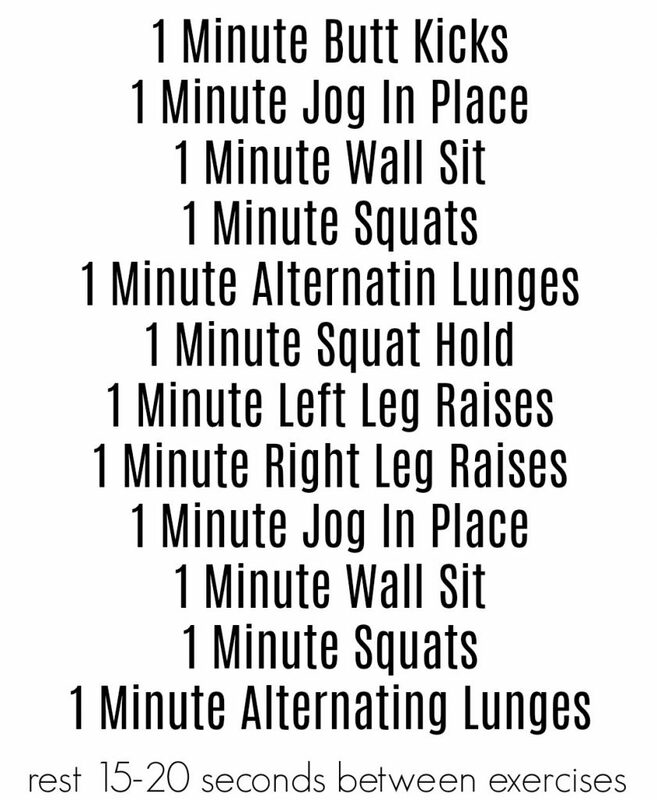 Love these work out ideas! I screenshotted them so I can give them a try. I’m a teacher, and most days of the work week I wake up at 5 am to go to an hour long class before I have to go to work. I love getting my work out in before my day starts! It helps me start my day on the right foot, I feel energized and accomplished and ready to face 20 six year olds! After the kids leave I am exhausted and find I can’t give my work outs my all. Working out before work is what works for me. I’m lucky to have another teacher friend who joins me in the classes. We text each other when we get up to hold each other accountable! That is so great to hear!! Having someone to motivate you is great. I appreciate how easy these are to follow. People post workouts that I have no idea what some of the exercises are! I can’t fit my workouts in with my schedule because as soon as I get off work I have to pick up my kids and take care of them. 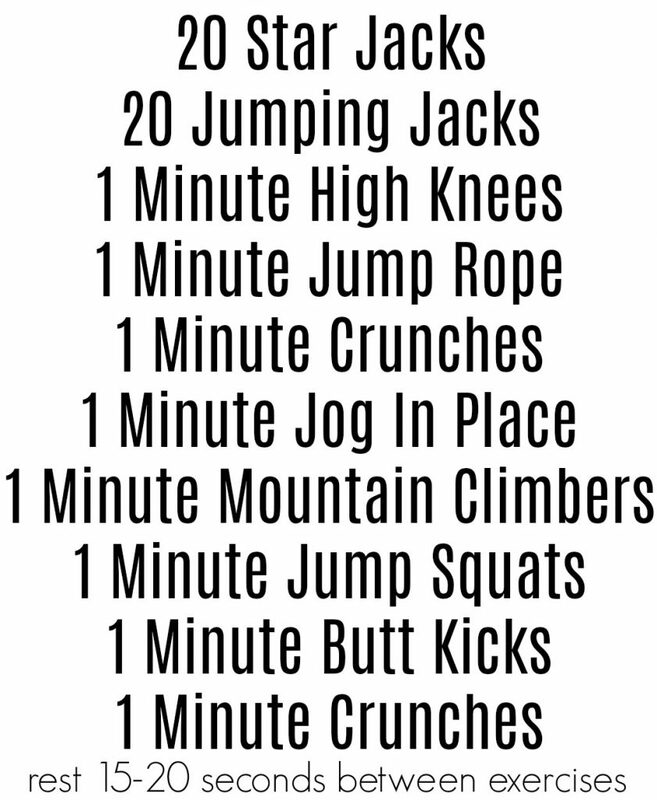 These workouts look doable! You have a very busy lifestyle! Hope you find the time:) It could be a nice little escape for the day! I did three of these this weekend! I like to run thirty minutes on the tread mill 3 x a week. These will be great for the other days! These are great! I work at a gym. Do you mind if I hang these up on the board? This is exactly what I need! Thank you as always Taralynn. How perfect! Thank you for putting these together. 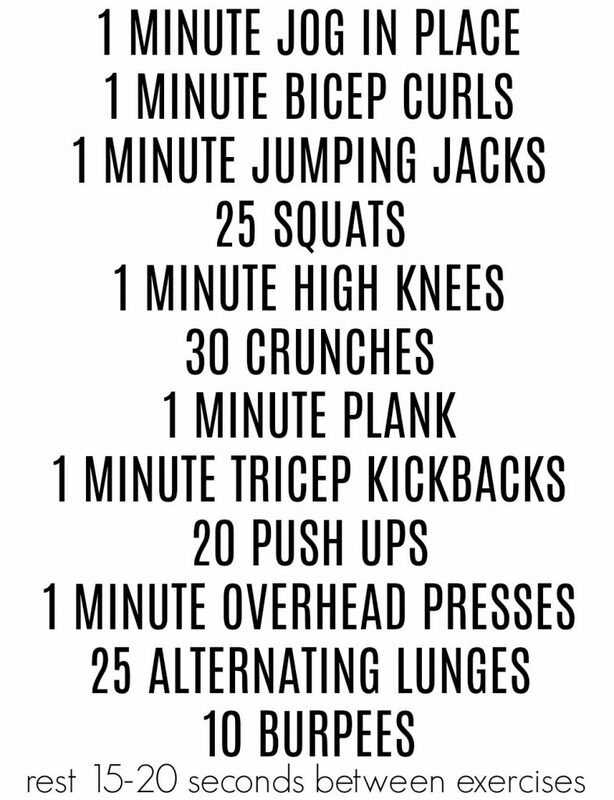 I have a hard time getting myself to do long workouts, but this is something I can do! Wow these are all amazing! I just screenshoted all of them. Some days trying to fit a workout in can be extremely difficult for me but I always have 15 minutes to nock one out, no excuse right! I try to work out for a hour each day plus walk the dogs but If work gets in the way then I will go for a run and do a lounge session (squats, push-ups, etc). Thank you for sharing these! Have a great weekend. 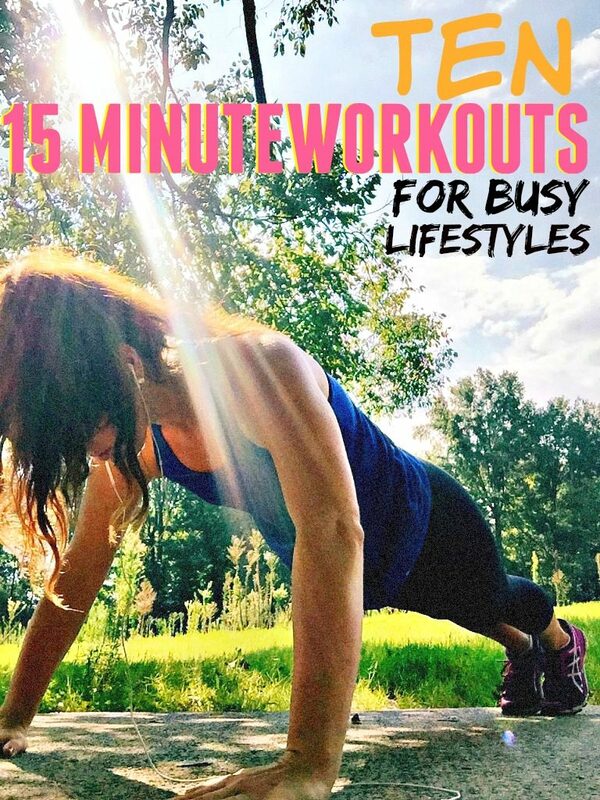 I love the idea of doing fifteen-minute workouts every day! I don’t do much now and this is better than that! Do you have weights at home? Where do you get them? I get them at Target, Amazon and Homegoods!! I may do this before and after work! I am putting these up on my work gym bulletin! We do fitness challenges at work! These are great! I especially love the variety in them. 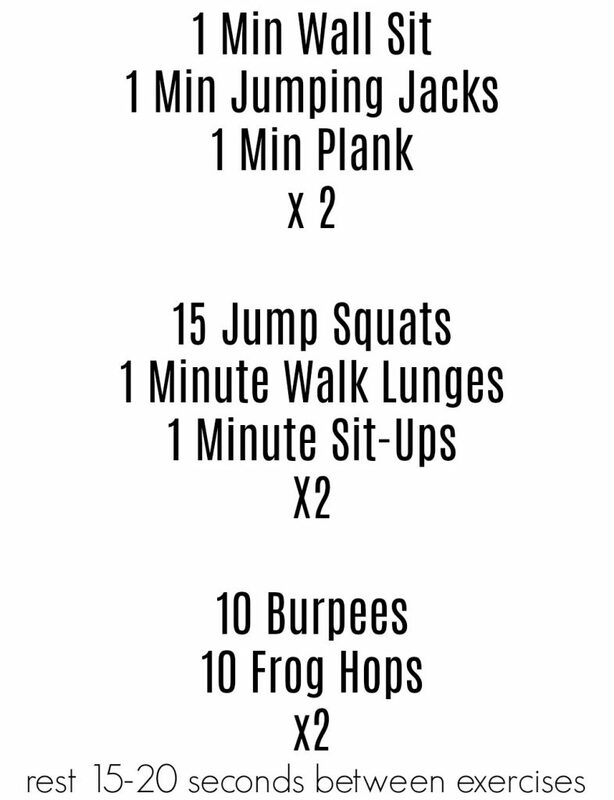 HIIT workouts are seriously a game changer because you get such a kickass workout done in a short amount of time. I usually workout for an hour a day. While I have my blah days, most of the time it’s the only thing that keeps me sane! There are definitely days when it’s almost impossible to fit one in though (parent teacher conferences end my life for days!). Have fun this weekend! Colorado is insane for the eclipse too – I had no idea this was such a THING! YES! I agree. The afterburn is incredible. I love that you use exercise as your outlet! I do the same and it keeps me sane. It hasn’t happened since 1979!!! I’m so happy you posted this! I have a hard time committing to anything longer than twenty minutes! The more you do them, the more they become a routine! I find it very hard to fit in workouts. I also work 8-6 Mon-Fri and get home so tired. Thank goodness for meal prepping. So these are super helpful. Thanks girl! 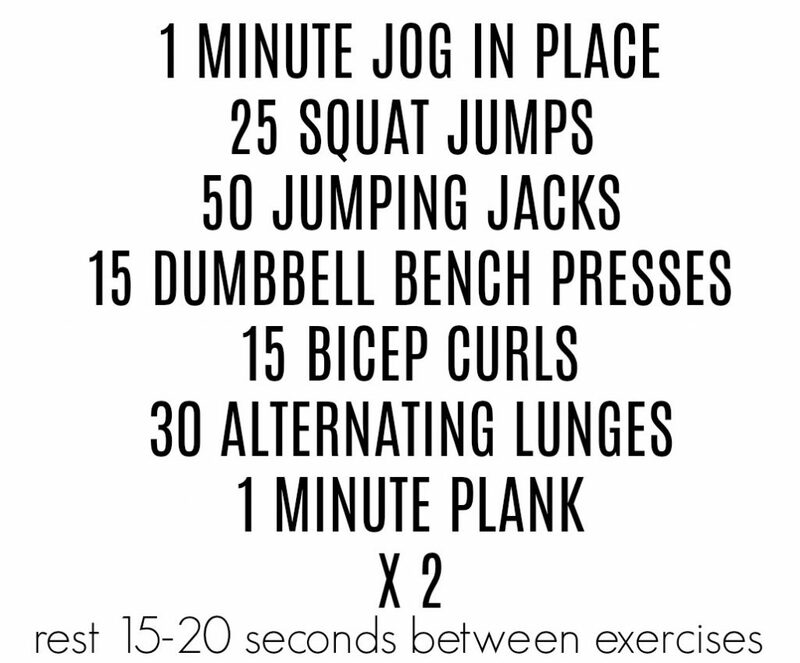 I love the idea of doing small workouts all week long! I dread the long ones 🙁 I don’t know how you do it, girl! Thats what I like to hear!! Crazy what just fifteen minutes can do!! 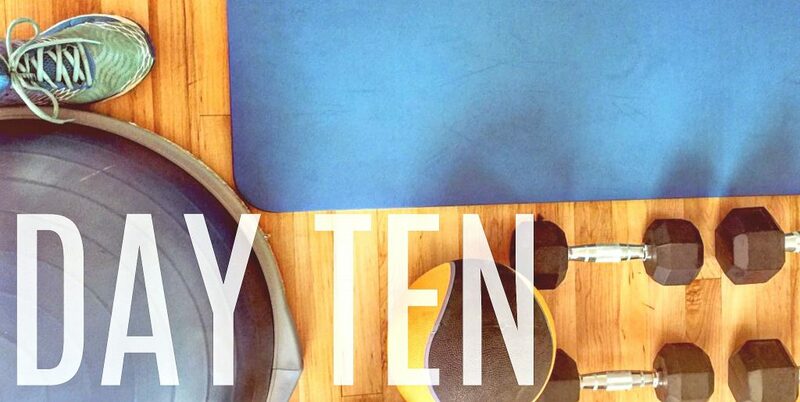 Do you find it hard to fit in workouts with your schedule? Not really my gym is open 24/7 so sometimes I go in after work around 930pm. Everyone thinks I’m crazy but I’m more of a night person than morning. Could you dedicate 15 minutes to exersice everday? Yup! Although I run around a lot for work. So that helps too. 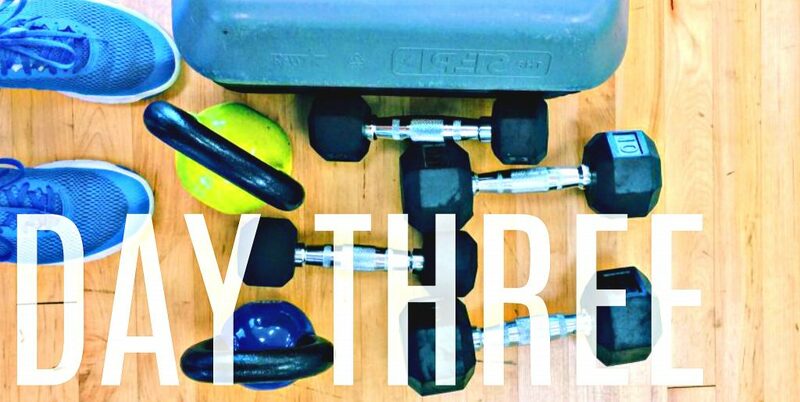 How long are your workouts? I shoot for 20min cardio & whatever area I want to work that day so about 40-50min with stretching. Love how motivated you are! Great workouts! I’ll definitely be using these. I often struggle to fit in a work out with my schedule and sometimes I barley have 20 minutes to work out. You seem to have such a great work schedule right now. Is that changing anytime soon? Not anytime soon! One day for sure though! Hi Taralynn, long time reader here! Random question for you, are you planning on making a career change? I just noticed you said ‘someday when i’m working the 8-6’ and was curious 🙂 Have a great weekend! I don’t have a hard time fitting running/cardio in. I use it as “my time” and think, make plans, reflection. I do struggle with the strength aspect. I dabble and spend about 15 min 4 days a week, but it’s hard and feel lost (especially with arm workouts)!! I’m usually at the gym for an hour or so! Much longer and I find it to be counter productive. 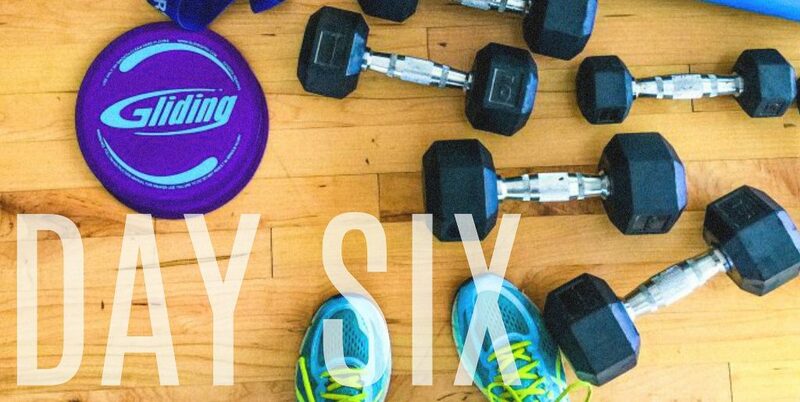 Sounds like you make time for your fitness! That is awesome! 🙂 Great way to create a routine. 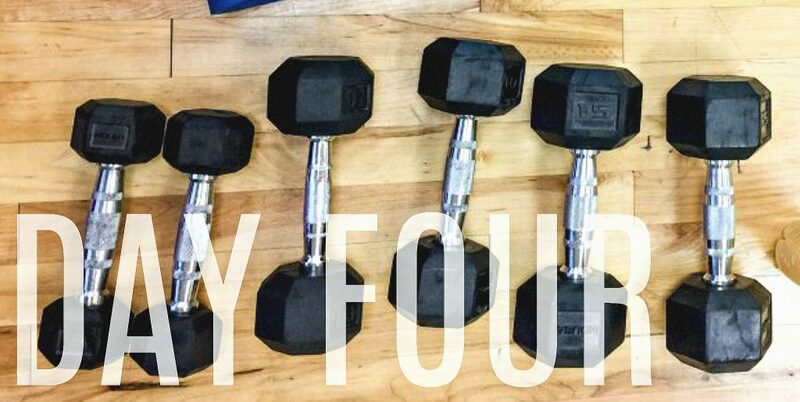 Where do you buy your weights? Just an FYI. I am gone for work from 7am til 6pm with my commute. I go to an hour class most nights for my workout. If the class is leaving her sluggish, then there is something else wrong. Exercise should be energizing. She’s probably not eating right to give her energy for the day and for the workout. Maybe she’s doing a boring workout. My best advice is to find a fun workout – which is different for everyone, maybe boxing, crossfit, or maybe yoga, zumba. I would say to keep trying different classes until she enjoys one. I think in the long run, having a class & community is what helps people keep up with it! My life tends to be pretty chaotic, so yeah, finding time to exercise is hard sometimes. But I am trying to make it become my priority! They are anything between 15min and an hour, depending on what I do. OH MY GOODNESS!! This post couldn’t come at a better time for me!! I just finished my 3rd round of whole30 and finally feel like I am finally getting my eating habits under control and I really want to start working out again. This is PERFECT!!! I pretty much work 15 hour days everyday and am constantly on my feet so I am so exhausted when I get home and just want to go to bed!! This is something I could do during lunch or between job!! I love it!!! Definitely going to try some of these out. 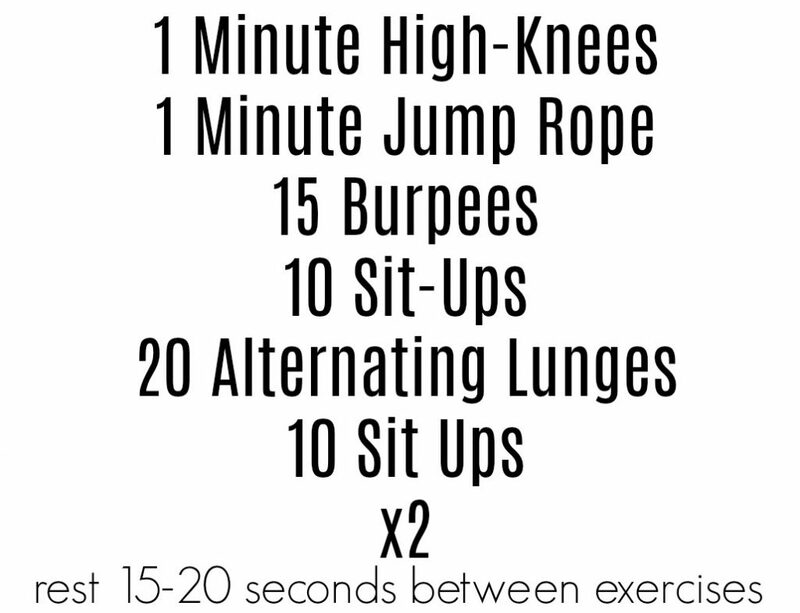 I don’t really exercise much, but 15 minutes, that sounds achievable! Thank you! Love these – so glad people requested this because it was definitely in my head! 1) Sometimes, yes. I have to leave for work at 7:30am at the latest and with my commute I usually don’t get home until at least 5:30pm. By the time I change and head to the gym and return, shower, make dinner…I usually don’t eat until almost 8:30pm and that it exhausting to me sometimes. But you have to make it work! 2) Most definitely! Luckily I work at a college and have full access to the gym here. If I don’t have any lunch meetings, I’ll use my lunch break to go for a run along the lake outside or lift. 3) Depending how much I do, anywhere from 30-60 minutes. My typical single work out is usually around 30 minutes though. You’re right! Making it a priority is important. Even if it’s just three days a week! That is awesome! Def take advantage of the gym. 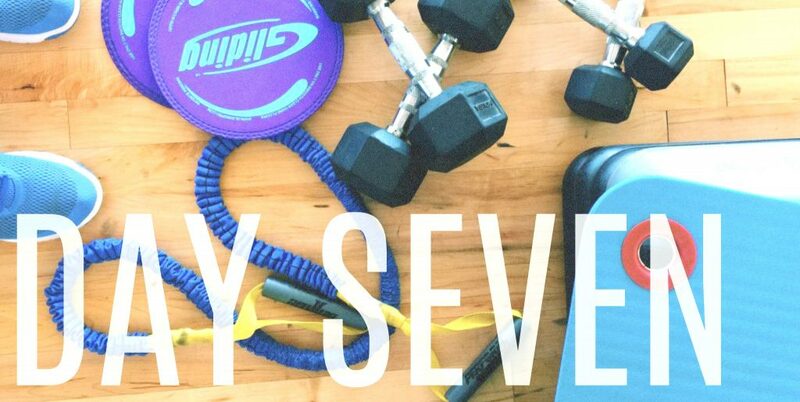 I am actually slowly tapering down my workouts (you can see it in my REVERSE EXERCISE SERIES: https://thefitty.com/2017/08/11/reverse-exercising/) so that I can get used to working out less once school starts. My days will be looking like 6am-11pm with rehearsals; I’m an acting major! You’ll have to tell me all about it! How exciting!! Nice job tapering it down! Sometimes that is best! Awwwww Linda, YOU ARE SO TALENTED! Your voice is so sweet! Keep it up! Solar Eclipse Monday, Workouts, & Food!